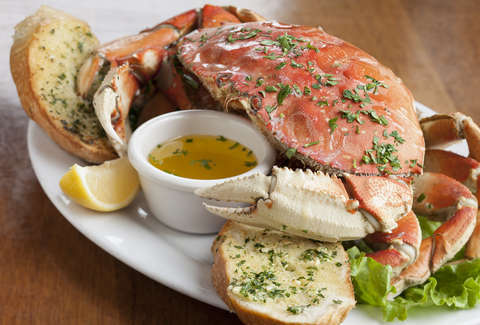 Crabby seafood fans in the Bay Area can rejoice and get cracking, as Dungeness crab is back on the menu after a year-long hiatus. Dungeness crab season was a total washout in 2015, when toxic algae blooms in the Pacific Ocean left the crabs with dangerously high levels of domoic acid in their systems. But the California Department of Fish and Wildlife has declared the Dungeness crabs safe for eating this year, and those delicious little crustaceans are ready to restore a holiday tradition to Bay Area dinner tables. If you’re looking to catch a case of the crabs (sorry), several standout Bay Area restaurants have a special seasonal Dungeness crab dish to butter you up. 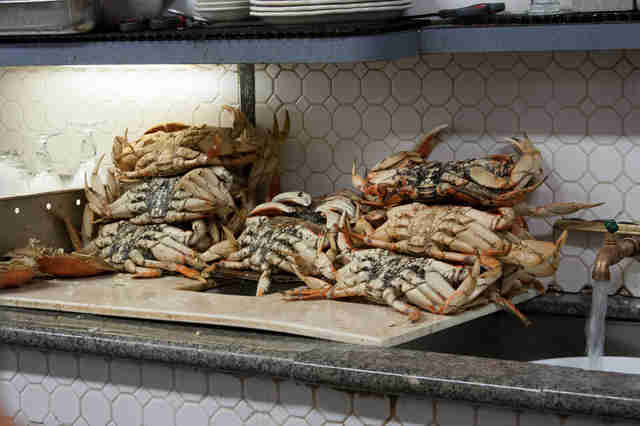 While the Dungeness crab season technically lasts until July, the holidays are the height of the crab feed craze. 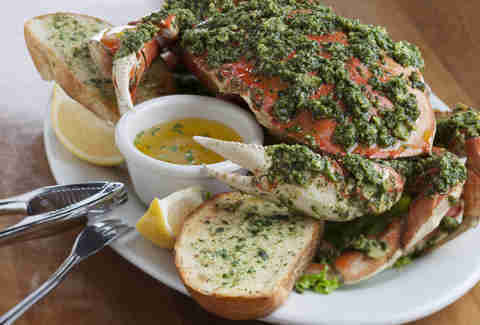 We’ve put together this list of the best Dungeness crab dishes in the Bay Area, including both tidy, delectable gourmet concoctions and the giant piles of whole crab that will inevitably leave your face and table a delicious hot mess. The simplest, most classic, most traditional (dating back to 1912) crab feed pig-out place is Swan Oyster Depot, which has been ringing in Dungeness crab season for more than 100 years. This delightfully old-school institution offers a whole crab or half crab served with piles of melted butter, cocktail sauce, and mayonnaise, or a big bag of boiled crab that allows you to avoid the always in-effect line going down the block. It’s a no-frills Dungeness feast that’s considered obligatory among local, and Swan Oyster Depot’s affordable menu ensures you won’t have to shell out too much money. You’ve had shrimp cocktail -- but the crabmeat cocktail at Anchor Oyster Bar will have you clawing for more. Anchor Oyster Bar serves cracked Dungeness crab seasonally, but the crustacean also comes in a Caesar salad, crabmeat salad, and crab cake entree. Just be ready to set your anchor for a while, because there’s always a line out the door at this popular restaurant. It behooves us to include a “big ol’ crab sandwich” option here, and this new Civic Center spot prepares its Dungeness crab sandwich with its own fresh brioche rolls packed with a soft boiled egg, cherry tomatoes, asparagus, and giant scoops of locally sourced Dungeness. But be aware Fine & Rare is only open for lunch, or when their cult-hit food truck appears at Off The Grid events. The Dungeness crab in San Francisco does not come from San Francisco -- Dungeness crab fishing is illegal in the San Francisco Bay because the region is considered a breeding and hatching ground. Much of our Dungeness comes from Half Moon Bay, so head straight to the source where the Half Moon Bay Brewing Company serves a Dungeness crab omelette for brunch and for dinner Dungeness crab in garlic, pesto, or cajun varieties. 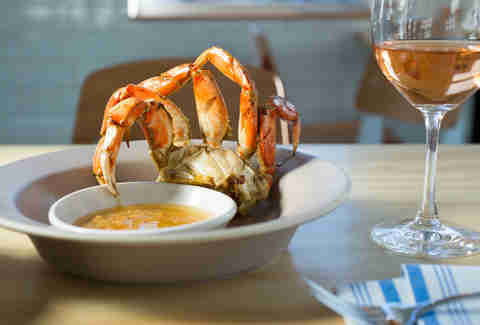 You can get selfish with the shellfish on Foreign Cinema’s brunch and dinner menus, as local Dungeness crab appears on both. 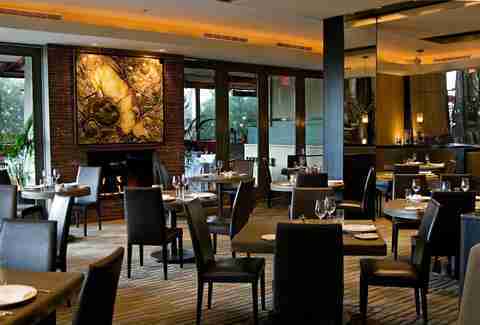 But the brunch menu also includes a Dungeness crab frittata with yukon potatoes, chèvre, scallions, and jalapeño, while the dinner menu’s New Bedford sea scallops are piled high with Dungeness crab, cannellini, curly endive, tapenade, lemon gastrique, and winter crisps. 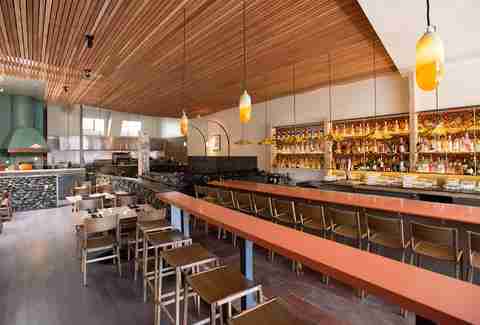 Pescatarians put Al’s Place at the the top of their places of choice, and this Valencia St hot spot has a tasting menu that isn't a rip-off. Al’s Dungeness crab dish is offered only on Sundays, but it’s a cracking big bowl of crab legs served with brown butter, nori, and yuzu-fig leaf mayonnaise. 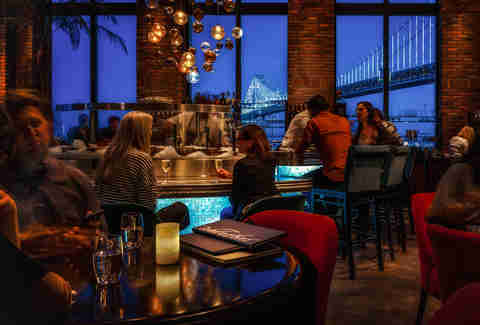 The Bay Lights are your blinking backdrop to enjoy fresh, Bolinas-sourced Dungeness crab at Waterbar, one of top picture-window view spots to dazzle your out-of-town guests. Their elegant crab dish is a bone marrow chawanmushi (that’s Japanese egg custard) with dashi, torikawa, and Dungeness crab, but they also serve a whole local Dungeness crab from a wood oven with sides of gochujang and kimchee for those who enjoy making a gigantic mess in an otherwise sophisticated setting. 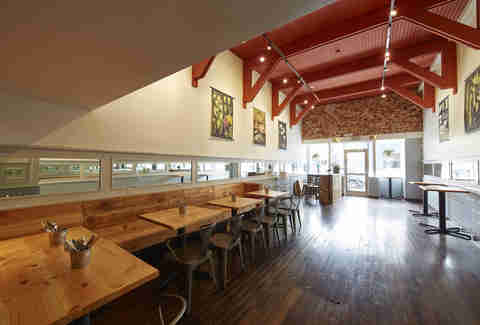 Though best known for their octopus hot dog, the celebrated Lake Merritt craft cocktail and gourmet spot Shakewell celebrates the season with a Dungeness crab toast. It’s like a fine-dining version of a Dungeness crab sandwich, prepared elegantly with pain de mie, golden miso-verjus dressing, celeriac, and chervil. 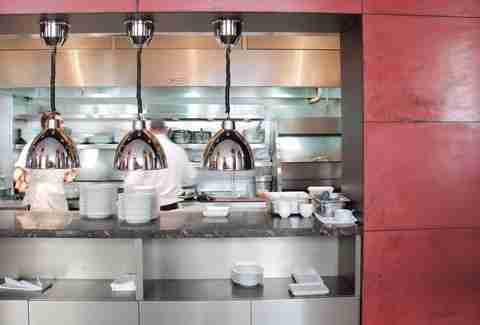 The Grill is a new addition to the notoriously posh St. Regis hotel, starting as a pop-up in in early 2016 and garnishing enough rave reviews to be made permanent. Executive Chef Franck Desplechin cracks out a new seasonal menu every month, with this month’s menu featuring a chilled Dungeness crab with celery root mousse, green apple, hazelnut aioli, and orange jelly. Joe Kukura is a freelance writer who consumes massive amounts of crab shell thanks to his kindergarten-level skill at removing the tasty meat. You can find his kindergarten-level musings on Twitter at @ExercisingDrunk.